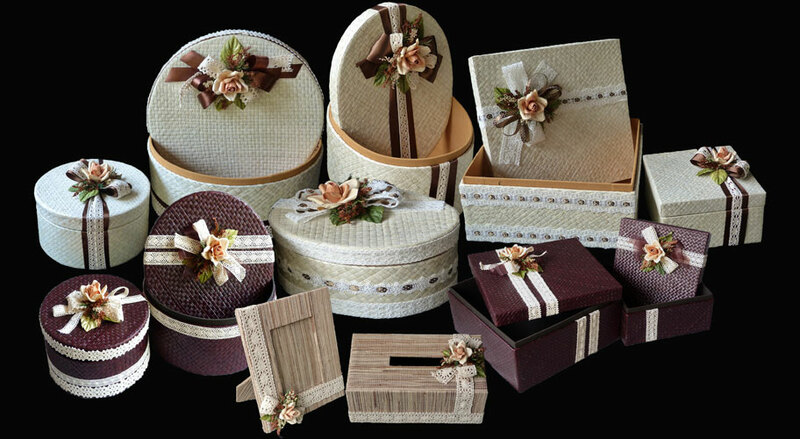 Naditha Creation is an exclusive packaging company, located in Bekasi, Indonesia. 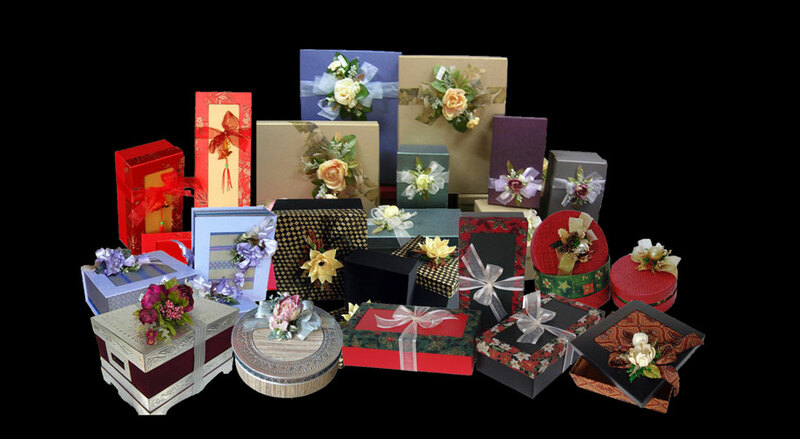 Our products are gift boxes made of all kind materials. 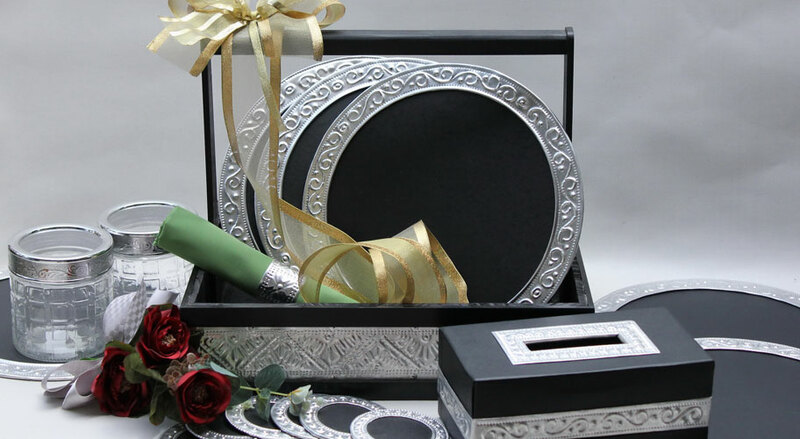 We also make hamper/gift basket arrangement as one of our services. 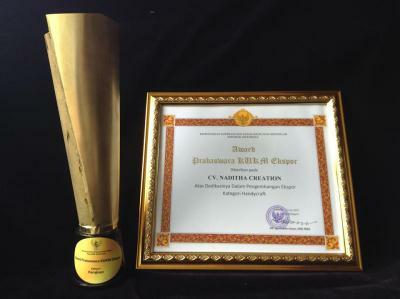 Since 1996, Naditha Creation has exported its products to many countries, such as Malaysia, Uni Emirate Arab, and Singapore. Please have a look at our vast collections of carefully crafted and controlled quality products - all hand made using Indonesian natural resources, such as: bamboo, rattan, pandan, mendong, water hyacinth, and many more. The 20th Jakarta International Handicraft Trade Fair (INACRAFT 2018) is the 18th times of INACRAFT accomplishment and will be held on April 25 - 29, 2018, at Balai Sidang Jakarta Convention Center. The 18th Jakarta International Handicraft Trade Fair (INACRAFT 2016) is the 16th times of INACRAFT accomplishment and will be held on April 20 - 24, 2016, at Balai Sidang Jakarta Convention Center. 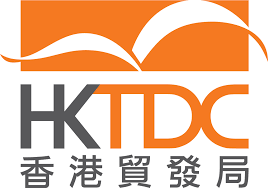 As the biggest Gifts & Premium show in the world, HKTDC The 31st Hong Kong Gifts & Premium Fair 2016 will be staged during April. 27-30, 2016 at Hong Kong Convention & Exhibition Centre (HKCEC) , Hong Kong , China . The Prabaswara KUKM Ekspor was given by the Ministry of Cooperatives and SME Indonesia for our dedication on Export Development in Handycraft. 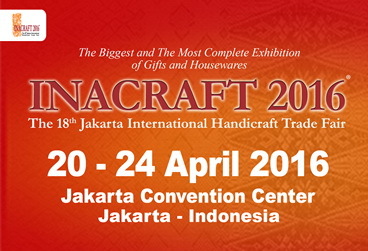 The 16th Jakarta International Handicraft Trade Fair (INACRAFT 2014) is the 14th times of INACRAFT accomplishment and will be held on April 23 - 27, 2014, at Balai Sidang Jakarta Convention Center.